Found in The Duke's Archives, he wears the Crystalline Set. 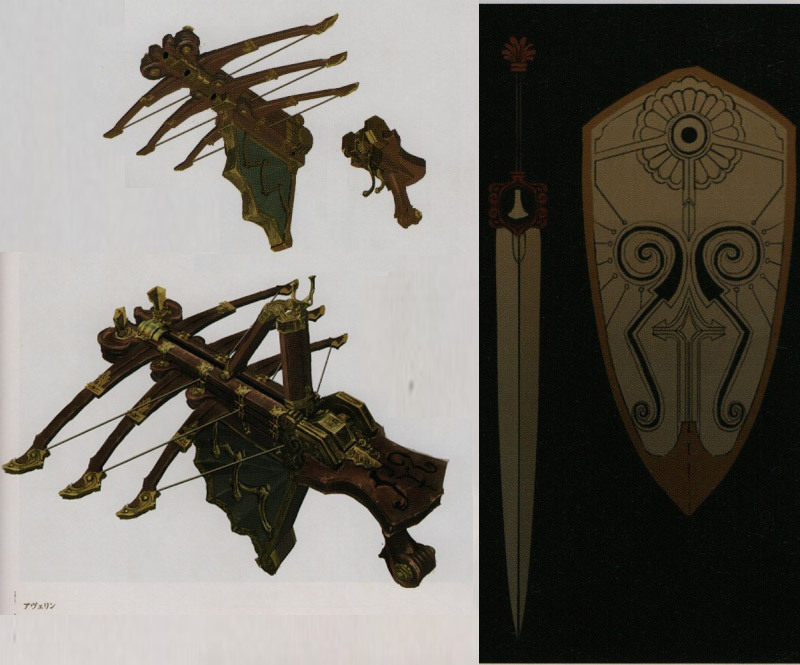 By taking a closer look at the Avelyn, the only weapon that mentions Eidas in its description, interesting design patterns can be found. 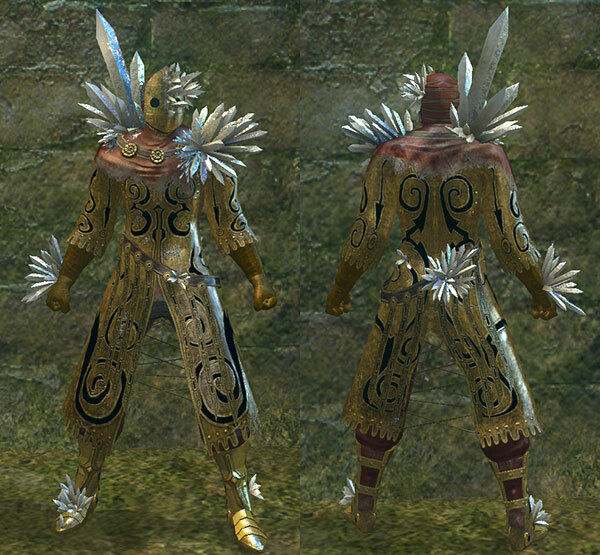 These patterns are really similar to the ones found in the Crystalline set. This could connect the with Eidas. It may also be possible that he went hollow and died in the gardens, where the set is found. Eidas may related to Sen's Fortress by the pressure plate traps, which are evidently similar to how the Avelyn works. It's important to note that the crossbow mechanical design is similar to how the elevators and stairs work in the Archives. In the Design Works Artbook, evidence suggests that the two were once, or still are, related. 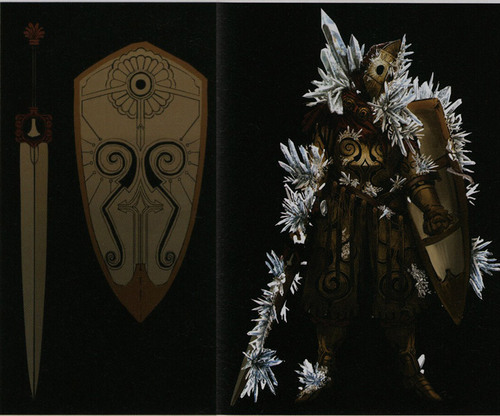 On the following image, Avelyn's concept art is on the left, while on the right, the Crystal Knight's weapon and shield can be seen. 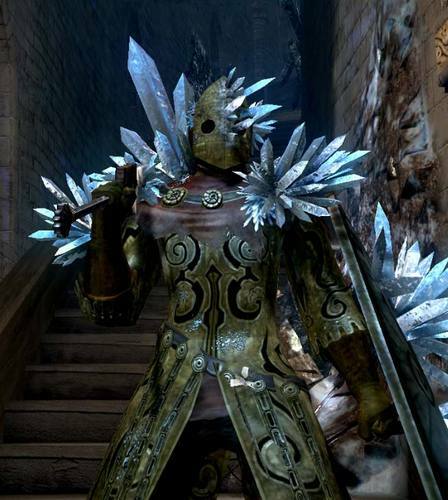 Crystalline Set Crystallized armor worn by a Hollowed knight, who was partially crystallized. Avelyn Repeating crossbow cherished by the weapon craftsman Eidas. Its elaborate design makes it closer to a work of art than a weapon. Intricate mechanism makes heavy damage possible through triple-shot firing of bolts, but in fact each bolt inflects less damage.